It was great catching up with my friend Lisa Booher’s about her running journey and beyond. She has a great story of running distance race. Over the years, she has gone from none runner to Boston Marathoner. Currently, she is training for the Vermont 100 mile race. NOTE: this was first phone interview podcast. Dr. Jason Karp is an internationally-recognized running and fitness expert and owner of Run-Fit, LLC, providing coaching and educational services to runners and fitness professionals around the world. He is also the creator of the REVO₂LUTION RUNNING™ certification. He has more than 200 articles published in running, coaching, and fitness magazines and scientific journals and is the author of seven books, including The Inner Runner, Running for Women, and Running a Marathon For Dummies. Marcela Todd is a Coach/Marathoner/Ultra Marathoner/marathon pacer/Boston Marathoner who recently completed her 61st marathon/ultra. She is originally from Bogotá, Colombia. Marcela has a passion for helping people achieve their marathon and half marathon goals. She is the Program Director and Head Coach for Www.friendsintraining.net, one of the largest training groups in South Florida. She is also the Wellness Center Director at the Motorola Plantation Wellness Center. It was great catching with Marcela for this episode. Enjoy the interview and get inspired! Talking to Birmingham’s Running Legend: Al DiMicco. If you run/ran in & around Birmingham area for the last 30+ years, you either ran with Coach Al, or ran with someone who ran with him. For sure, we will have to bring him in for a more focused marathon training interview. Recently Jimmie Barnes ran 48 hours race where he set the US and world record in his age group of 75-79. Jimmie has been running for a long time. It is motivational to listen his story. He still motivated and competitive to run and race. If you ever ask me where I get my inspiration, you must listen to this podcast. He promised me that he will talk to MRuns when he breaks world record in the age group 80 and up. Craig Osborn ran his second Boston Marathon in April 2016. I had an opportunity to talk to Rob Apple as he was finishing his 711th ultra distance race in Nov 2015 . This was follow up interview from Nov 2014. Currently, he is at 722 Ultra distance race. He is headed to Europe next month to run his next Ultra. Great story! I will have a follow up interview with him by the end of 2016 again. In this episode, I talked to Breanna Cornell who is the youngest female Badwater 135 Finisher. She complete the Badwater in 2015. With my recent conversation with Breanna, it looks like she will hold her title for at least another year! Way to go! 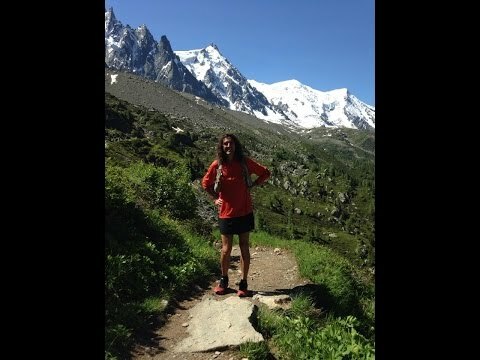 Karl “Speedgoat” Meltzer is the winningest 100 mile runner in history. *Lots of course records too!